2016. 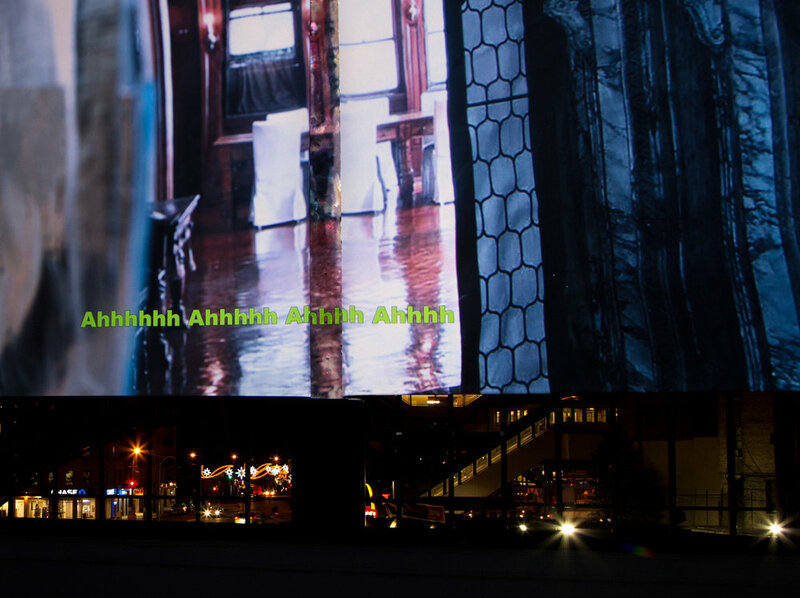 Single-channel HD projection onto Screen Goo treated roller shades with view of 125th Street Subway Station beyond, theater flat with wheat pasted printed photographs, Peel and Stick Carrara Marble Floor. Dimensions Variable. 7 min, looped. 2016. Single-channel video projected onto floor, Peel and Stick Carrara Marble Floor. Dimensions Variable. 2:25 min, looped. This is an installation view of a video projected onto the floor. Here my collaborator Peter LaBier dances on a wheat pasted theater flat reconstruction of the marble entryway floor of the mansion. The video is then projected onto a fake marble floor (of the least expensive peel and stick tile variety). This is an installation view of another element of My Mansion Project, Ah Ah Ah Ah, a video that uses digital avatars in vignettes set inside of different rooms of the mansion. 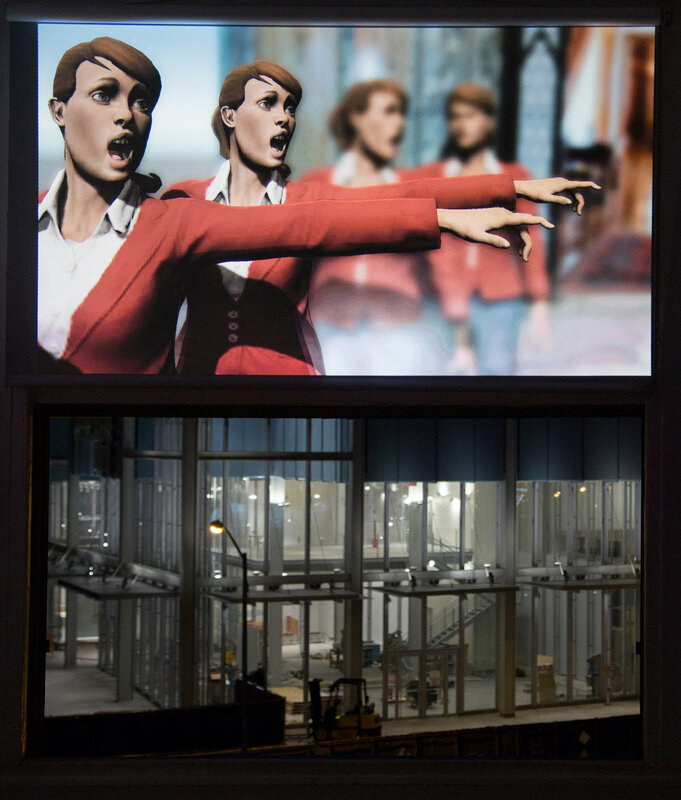 Here the video is projected onto a roller shade left partially open to reveal a view of a new Renzo Piano building under construction across the street. The video weaves between completed scenes and my use of the avatars in a storyboarding program as puppets for exploring a space I cannot enter. My Mansion Project entails a constellation of works set inside of the last freestanding, privately owned mansion in New York City, made without physically entering. These are installation images of several pieces of the project installed together. Sound in collaboration with Dani Dobkin.